The world number one, weary after a 4:30am wake-up call for his early start at The Australian course, carded four birdies and two bogeys in an opening 69. "I started off OK but in the middle of the round I hit a couple of loose shots and actually made a couple of good up-and-downs for pars, but then made three birdies on the back nine against one bogey." McIlroy is coming off a stellar year, winning two majors, a World Golf Championship title and the flagship event of the European Tour to finish the season at the summit of the world rankings. Teeing off at the 10th hole, he turned at level par after just one birdie on his opening nine, at the 459-metre par-five 14th, before handing the shot straight back when unable to save par from the trap on the par-three 15th. He collected further up-and-down birdies on the first and fifth holes to climb to two under before again dropping a shot after finding the sand with his approach on the seventh. McIlroy rifled an approach shot to just a metre from the pin at the last for a birdie. 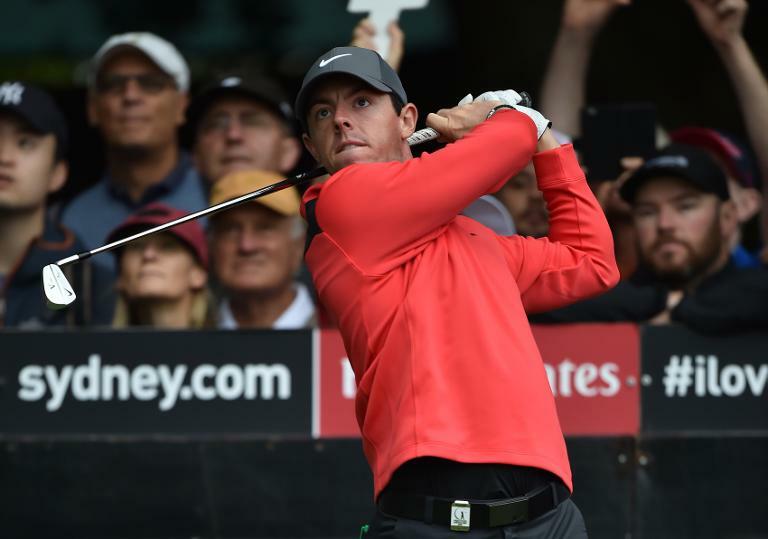 McIlroy overhauled Adam Scott with a birdie at the final hole to win last year's Australian Open at Royal Sydney in what was his only 2013 tournament success. World number three Scott is again his main rival this year and tees off later Thursday. The world golf's top player forecast better fortunes ahead as he works towards Sunday's final round.